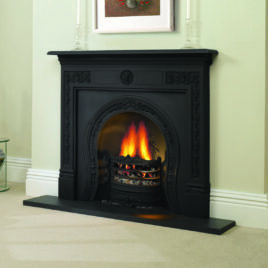 Like most Cast Iron Combinations the Edenbridge is a perfectly quaint little fireplace that would suit either a bedroom, front room area or even an office. Ideal for Gas or Solid Fuel. If you require a mantelpiece that steals the show in size and strong aesthetics. This robust design may be for you. 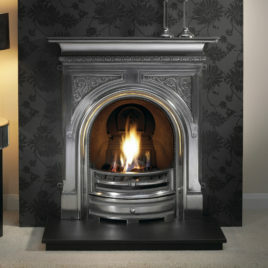 The Georgian Mantel makes its own presence in the room without a doubt, standing tall with geometric details and sturdy structure. 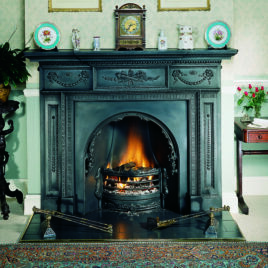 Like most Cast Iron Combinations the Greenock is a perfectly quaint little fireplace that would suit either a bedroom, front room area or even an office. 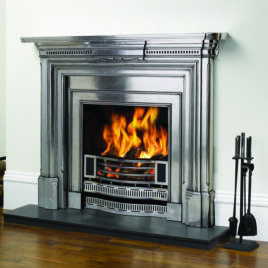 Ideal for Gas or Solid Fuel. 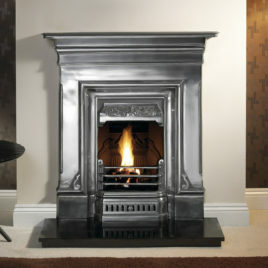 With its eloquent detail and unique shape this Cast Iron Mantel compliments some of the more articulate of inserts. A strong and beautiful design without a doubt. If you require a mantelpiece that steals the show in size and strong aesthetics. This robust design may be for you. The William IV Mantel makes its own presence in the room without a doubt, standing tall with ornate details and sturdy structure.